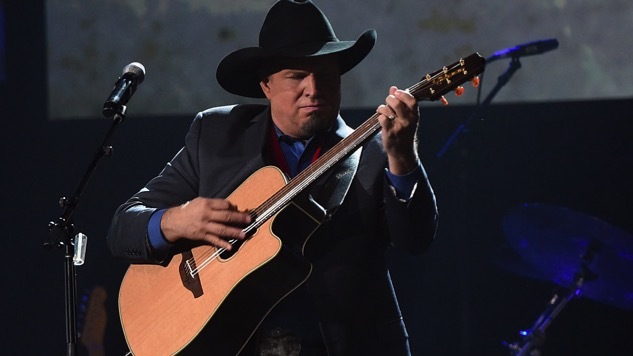 This year marks the 25th anniversary of Garth Brooks’s “We Shall Be Free.” In 1992, the controversial song received limited airplay on country radio thanks to its progressive stance on a multitude of issues including racism, marriage equality, indigenous rights and the environmental protection. Brooks has since said he released the track in response to the Los Angeles riots of 1992, which broke out after the acquittal of the four LAPD officers who were videotaped beating Rodney King. Fast-forward to 2017 and racial tensions are still running high in America (especially in the wake of the violent alt-right gathering in Charlottesville). Although it may seem stereotypical to lump radio-friendly country music together by themes of Southern identity and patriotism, there’s some truth to genre’s history of conservatism: A 2004 Gallup poll found that 60 percent of country fans identify as Republicans. When country artists offer songs or views that contradict a long-standing narrative or opposing political viewpoint, it can come as a shock to fans. The backlash over the Dixie Chicks’ criticism of George W. Bush in 2003 remains one of the most famous examples. More recently, Jason Isbell took some fire for his latest album, The Nashville Sound, with songs like “White Man’s World” and “Hope the High Road” addressing gender inequality, indigenous rights and white privilege. But when fans see their musical heroes singing and speaking about contemporary issues, it can also be educational, inspirational and unifying. Here are 10 of the most progressive country songs of all time. While the feel-good, gospel-tinged anthem encourages inclusivity, unity and peace, the accompanying video really drives home the progressive stance that Brooks assumed. This year, to mark its 25th anniversary, he updated the original version to include more contemporary voices, like Al Gore and Colin Powell. The ‘92 original includes images and video footage of religious intolerance, angry Confederates, indigenous exploitation and environmental disasters. It stands as a powerful reminder of the progress that still needs to be made. The original American troubadour, Woody Guthrie penned this song in 1948 after 28 forcibly deported migrant workers were killed after their plane crashed over Los Gatos Canyon en route to Mexico. Guthrie noticed that newspapers were neglecting to report the names of the victims, instead calling them “Deportees,” and he was inspired to write the song in response. He sings, “Some of us are illegal. And others not wanted. Our work contract’s up, and we have to move on / six hundred miles to that Mexican border, they chase us like outlaws, like rustlers, like thieves.” The song has been covered by the likes of Emmylou Harris, Steve Earle, Ani DiFranco and Joan Baez. It’s safe to say that even with the best of intentions, Brad Paisley has had some hiccups in his attempt to confront racism (see his duet with LL Cool J, “Accidental Racist”). Alternatively, he fared well with the release of “Southern Comfort,” which bucks Southern stereotypes and encourages folks to experience other cultures. First performed live in front of Barack Obama during a July 4th celebration, “Welcome to the Future” encourages racial betterment and was released in response to the 44th president’s historic win. To the dismay of many of his fans, Tim McGraw came out strong in support of President Obama, declaring himself a “blue-dog Democrat.” He received even more flack from pro-gun activists after he performed at a benefit concert for the Sandy Hook Promise Foundation. Unbeknownst to many, “Red Rag Top” subtly addresses the issue of abortion, and was banned from many country radio stations for its normalization of the right to choose.